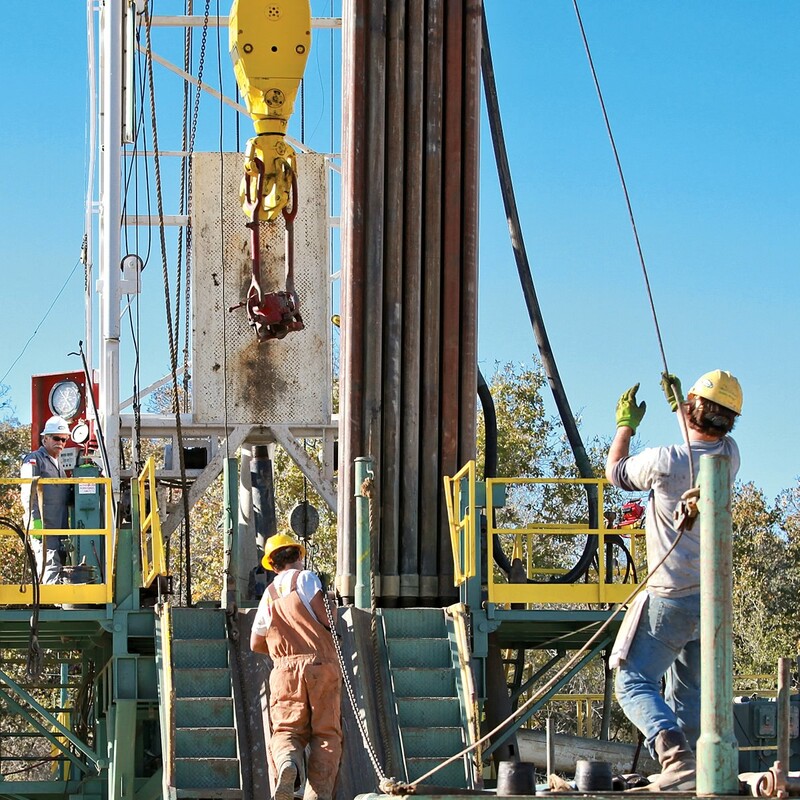 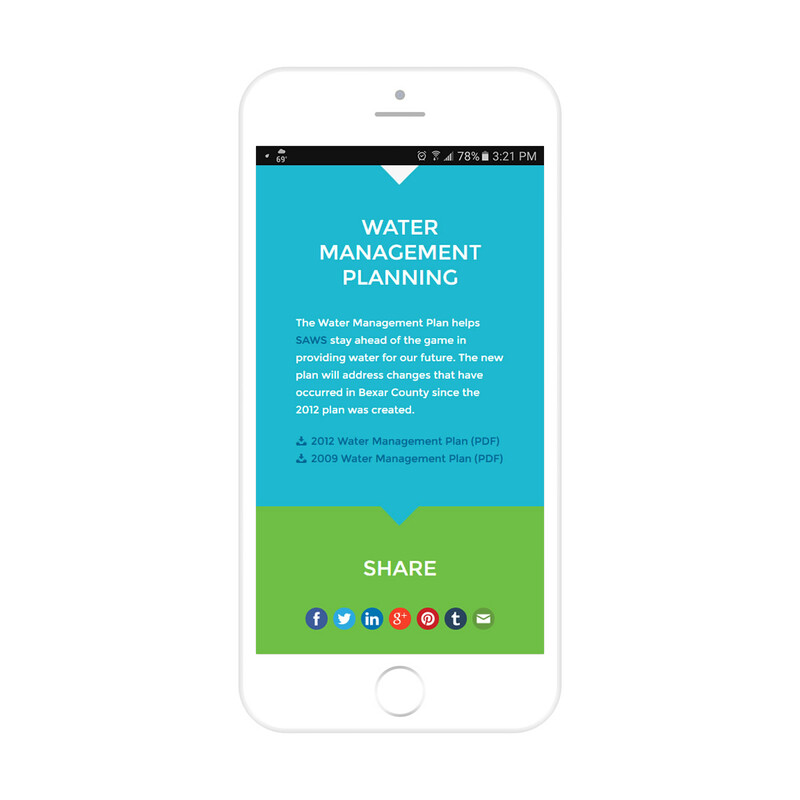 Responsible for supplying water to 1.7 million people in rapidly growing Bexar County, San Antonio Water System (SAWS) is constantly planning for the future by developing new water supplies, managing existing resources, and encouraging conservation. 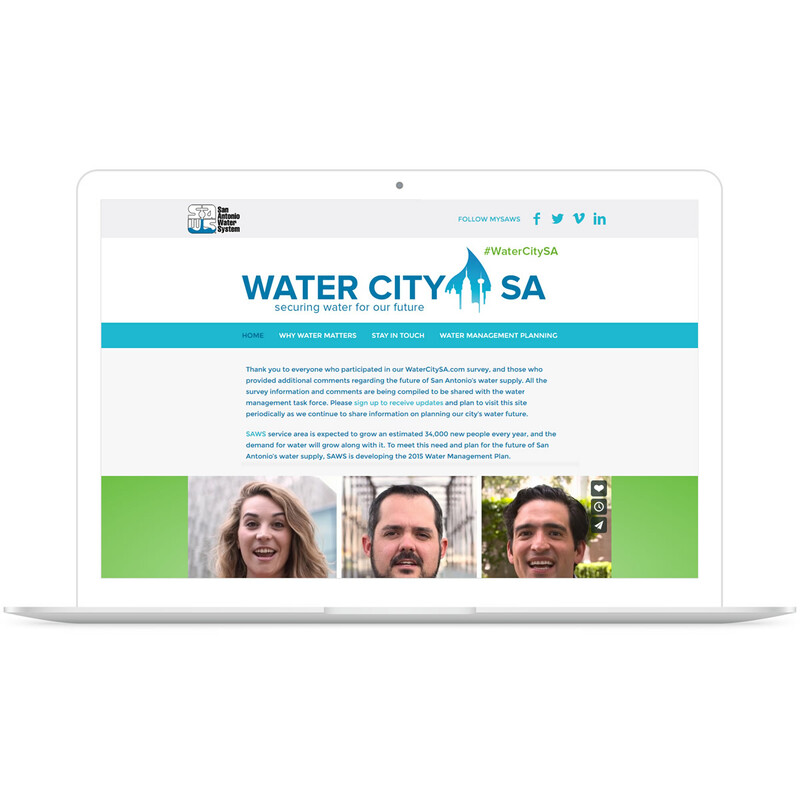 Working with SAWS and The DeBerry Group, Drewa Designs developed and launched Water City SA, a microsite providing info on San Antonio’s water resources. 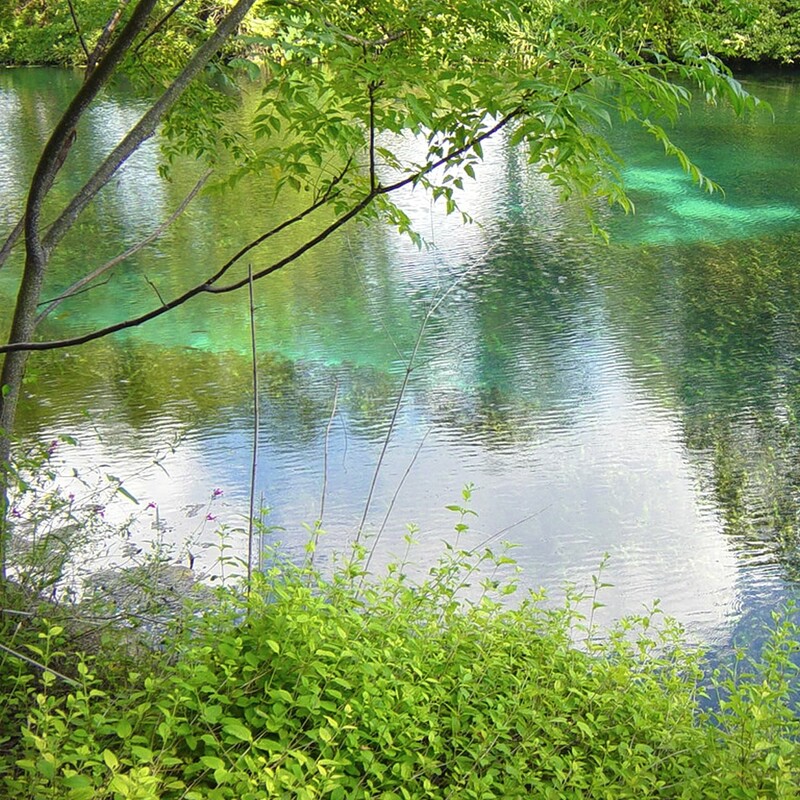 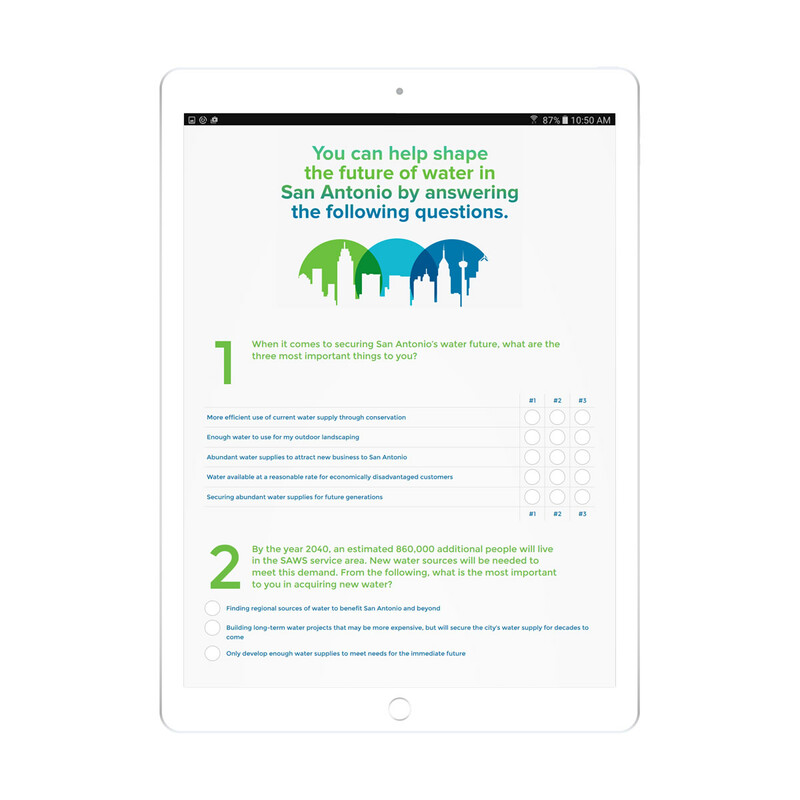 While the original site featured an interactive survey—with some very unique functionality requirements—to collect and analyze input from the public, the current version is much simpler and serves primarily to introduce the latest Water Management Plan.